In Jody Wilson-Raybould's view, the question of her status within the Liberal caucus amounted to nothing less than a referendum on the soul of the Liberal Party itself. "Ultimately, the choice that is before you is about what kind of party you want to be a part of, what values it will uphold, the vision that animates it, and indeed the type of people it will attract and make it up," she told the Liberal parliamentary caucus in a letter Tuesday. "If indeed our caucus is to be a microcosm of the country, it is about whether we are a caucus of inclusion or exclusion; of dialogue and searching for understanding or shutting out challenging views and perspectives; and ultimately of the old ways of doing business, or new ones that look to the future." Liberal MPs apparently weren't convinced that her continued presence in caucus meant all that much. Hours later, confirming the expulsion of both Wilson-Raybould and Jane Philpott, Prime Minister Justin Trudeau opted for another choice of words. "Civil wars within parties are incredibly damaging because they signal to Canadians that we care more about ourselves than we do about them," Trudeau said Tuesday evening, casting back to the infighting that dominated earlier eras of the Liberal party. 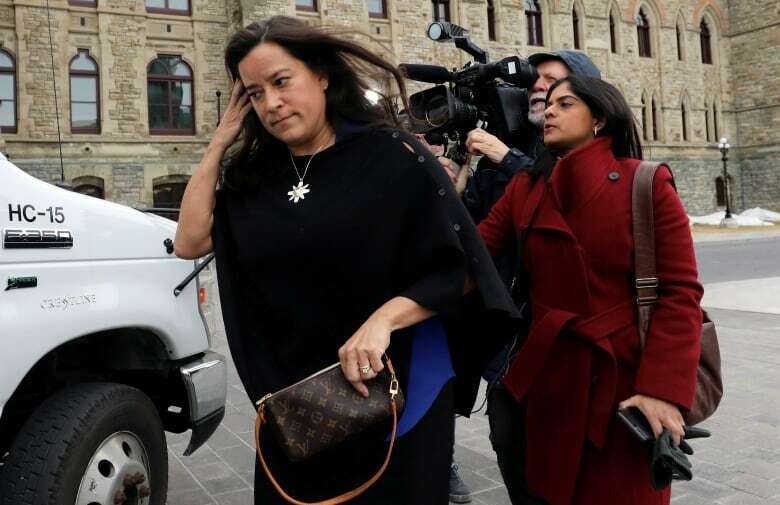 As has been the case since the beginning of this saga, much depends on whether you accept Wilson-Raybould's interpretation of events. Trudeau, his government and the Liberal Party no doubt looked better to many Canadians because they had people like Wilson-Raybould and Philpott on board. Their presence in cabinet seemed to say that Trudeau would surround himself with accomplished and talented people, and that those people would be empowered to do things. They were prominent women in important positions, working for a feminist prime minister. And they were at the centre of an agenda for reconciliation with Indigenous Canadians. But then, even people as accomplished and talented as Wilson-Raybould and Philpott might not have been elected in 2015 if they hadn't run as Liberal candidates, or if the Liberal party hadn't been led into that election by Trudeau. That's the party system of government for you — a system that still works, however obnoxiously partisans often behave. For all that Wilson-Raybould had to say in her two-page letter to caucus, it was perhaps most notable for what she didn't say. At no point did she state that she has confidence in Justin Trudeau or that she supports him as the leader of the Liberal Party and prime minister of Canada. It's possible that she does ... or did, at any rate. But she has conspicuously avoided saying so. A month ago, while testifying before the justice committee, Wilson-Raybould was asked the question quite directly. She replied that she did not think the question was "relevant." In fairness, maybe it wasn't relevant. Maybe it shouldn't be. But her reluctance to say publicly that the prime minister should continue to be the prime minister did make things awkward, and could've been particularly tricky on the doorsteps in Vancouver-Granville this fall. "To have confidence in the government doesn't mean you agree with everything that the government does or the prime minister does. I have disagreed," Liberal MP Rob Oliphant said on Monday. "But I have confidence in him and I have confidence in the government to be making the right moves on moving Canada ahead. "My hope is that caucus will meet quickly and that caucus will, I suspect, be of one mind that we don't want people in the caucus who don't have confidence in our government." Mind you, Philpott did manage to tell a reporter on Tuesday that she still supported the prime minister. Apparently that wasn't enough. Or maybe it was too late. "I'm looking for a sign from that (Wilson-Raybould is) prepared to work with us to resolve these issues. I haven't seen that sign yet. I'll say very candidly, everything that she's done so far seems to have been designed to cause damage," Liberal MP Ken Hardie said on Tuesday afternoon. "And that has not stood very well with her colleagues." People will argue about who is most to blame for the harm done to the Liberal government over the last two months. But Liberals seem to believe Wilson-Raybould and Philpott didn't do very much to limit the damage. And one can understand why the members of a team might not take kindly to a teammate they saw as unnecessarily hurting the team's chances of victory. To extend the sport analogy: no one player is ever supposed to be bigger than the team, except maybe the star. In the case of the red team, the star is still Trudeau, however much his stature has been diminished over the last two months. On Tuesday evening, Trudeau showed a flash of something that hasn't been on display in recent weeks: anger. Wilson-Raybould's decision to record a phone call with Michael Wernick gave Trudeau that opportunity. For a politician to secretly record a conversation, Trudeau said, was "wrong." For the attorney general of Canada to do so while speaking with the clerk of the Privy Council, he said, was "unconscionable." Others might find the content of the phone call to be more important than the fact it was recorded. But those who have decided that Trudeau was part of something unforgivable here probably weren't going to be convinced by anything the prime minister had to say on Tuesday. The move to expel Wilson-Raybould and Philpott seems to have been driven by the caucus, instead of a diktat from the leader. But Trudeau is the one who will wear it. Nearly everything about Trudeau has been under attack over the last two months. And now Wilson-Raybould has framed her expulsion as confirmation of the worst things Trudeau's detractors have alleged. The civil war might be over (or pre-empted). But an election looms. Trudeau and the Liberals have six months to push past Jody Wilson-Raybould's referendum and find a way to say more about themselves than Wilson-Raybould would have her expulsion say about them. Healthcare professionals rally throughout Canada for ‘national day 2019-04-03 13:36:16"Make no mistake – Canada needs stronger gun laws and we have a way to go to catch up the rest of the world," Dr. Najma Ahmed said. Canada is warming and it’s irreversible. Why is 2019-04-03 07:00:36"We have been talking to people about something that doesn’t feel relevant to them." Child welfare unit for newcomers unexpectedly shut down 2019-04-03 06:37:58A specialized child-welfare unit that helps families new to Canada has unexpectedly closed in Manitoba. Lori Lightfoot elected Chicago’s first black, female, openly 2019-04-03 04:44:39Lori Lightfoot: "You did more than make history. You created a movement for change." Jody Wilson-Raybould and Jane Philpott kicked out of 2019-04-02 17:16:33Jody Wilson-Raybould and Jane Philpott are out of the Liberal Party caucus. Long-anticipated RCMP civilian watchdog panel being delayed 2019-04-03 04:00:00Members of the Royal Canadian Mounted Police will have to wait a little longer before a long-awaited civilian watchdog panel is firmly in place. Israeli president cuts short state visit to Canada 2019-04-02 17:01:23Israeli President Reuven Rivlin has cut short his trip to Canada and is returning to Israel to be with his sick wife. Trudeau exploite l'attentat en Nouvelle-Zélande, accuse Bernier 2019-03-25 11:22:00Maxime Bernier accuse Justin Trudeau «d'exploiter» la tuerie du 15 mars dans deux mosquées de la Nouvelle-Zélande. New NAFTA deal at risk as U.S. Democrats 2019-04-03 06:32:00The new NAFTA deal has hit a roadblock after U.S. House Speaker Nancy Pelosi declared no vote in Congress unless Mexico changes its labour laws. Survey finds Canadians split on whether SNC-Lavalin is 2019-04-02 17:19:47Canadians are split on whether the SNC-Lavalin controversy constitutes primarily a legal or political issue, a new Nanos Research survey finds. PM removes Jody Wilson-Raybould, Jane Philpott from Liberal 2019-04-02 10:37:00Prime Minister Justin Trudeau has removed Jody Wilson-Raybould and Jane Philpott from the federal Liberal caucus, with the backing of his MPs.